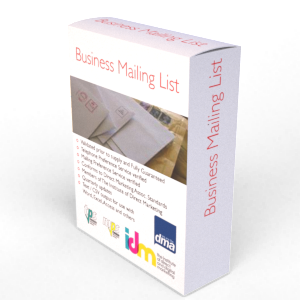 The very latest List of Largest Companies that can be used for direct marketing including Sales & Marketing. Prior to supply, the List of Largest Companies will be screened against the very latest Mailing & Telephone preference files as well as our own 'do not contact' file. This list contains every known UK business with a turnover greater than £40 million. Please note that only head offices and principle sites will be released in the list and not every branch or site that the company owns, although this can be output on request. If you wish, we can also identify the largest companies based on the number of full time employees that have. 1-5, 6-10, 11-19, 20-49, 50-99, 100-199, 200 plus ranges as a for instance. Another way we can identify large companies is by net worth, profit, number of sites, number of branches. Whatever your definition of the largest businesses, let us know and we will run free counts and breakdowns for you to consider. All of the records we supply will have been telephone verified to confirm the details we release to you; this ensures the information is current and that the list of Largest Companies are trading. Rather than take the entire list of Largest Companies you can select by a specific area such as a Postcode or County. In addition you can request certain employee sizes or business activities. There are an additional 250 or so fields to use when refining the list you require. Don't worry, if you don't have the time or can't see what you need then let our team do the work for you - for FREE. We have thousands of other business types and list sources and over 40 years experience so why not simply tell us what you're looking for?